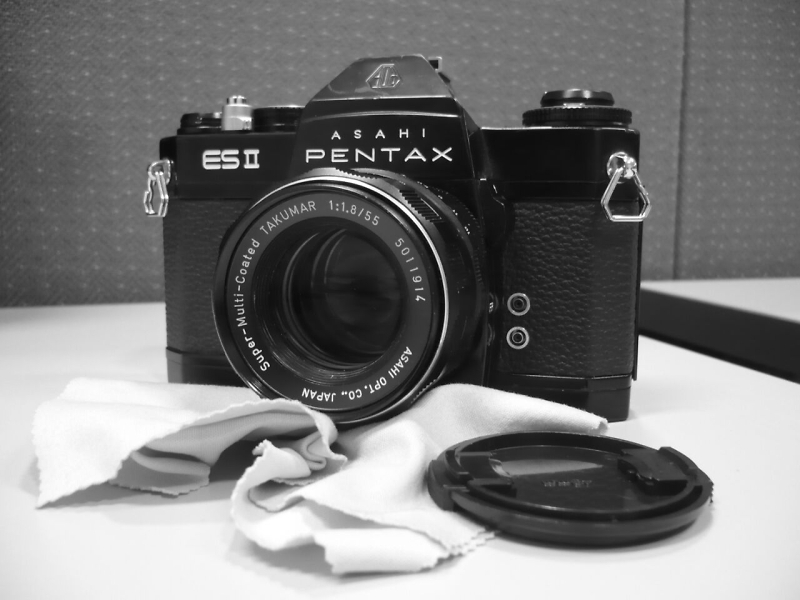 A week ago, I bought a body of Pentax ES II include 4 new LR44 batteries. I try to check the batteries with battery check dial and swith the mode to automatic, but no movement from the needle. It stuck below the 8 indicator. But when i try to shoot with auto mode, the shutter seems responsive with light (though the needle stay the same). *Try to load some film today, will post the result soon. I assume when you state the shutter is "responsive" that you mean the shutter speed changes dependent on the available light. In that case it does sound like the needle is stuck or the mechanism to move it broken, but even if the light meter is working, on such an old camera it may not be accurate at all. You could run a test roll through it but be prepared for disappointment. It sounds like it needs repaired and the only solution will be to take it to a professional place to do that.